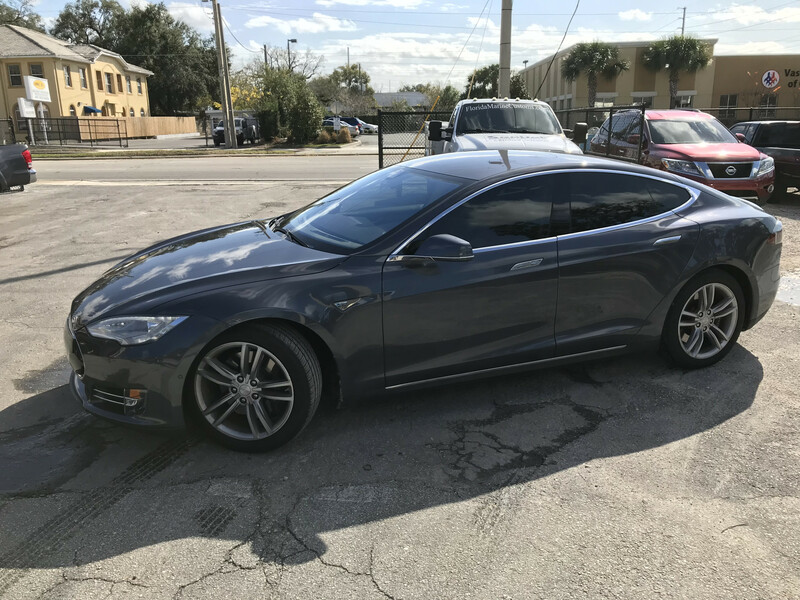 Tesla Model S window tint in Orlando by Ultimate Window Tinting. We use the best ceramic window films to block the most heat and UV rays. We pride ourselves in using only high quality car window tint and the best installation. We protect the interior and electronics by using seat covers, microfibers clothes for the dash, door panel covers, and even cover the steering wheel. 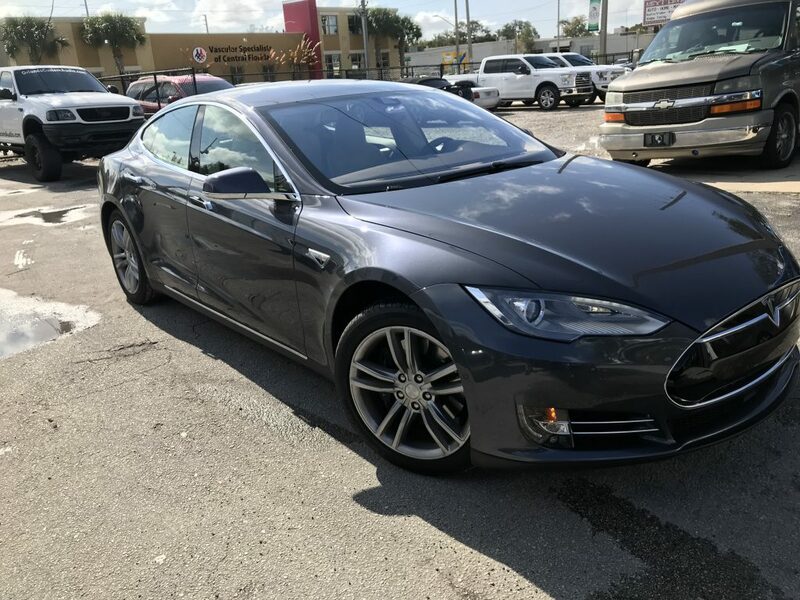 We only use high quality car window tint so you know your Tesla Model S interior will be protected from harmful UV rays which can cause fading and cracking of the interior materials. UV rays can also be harmful to your skin, so knowing the window tint is blocking 99.9% of UV A and UV B can give you peace of mind that your Tesla Model S and the skin of you and your loved ones are protected. 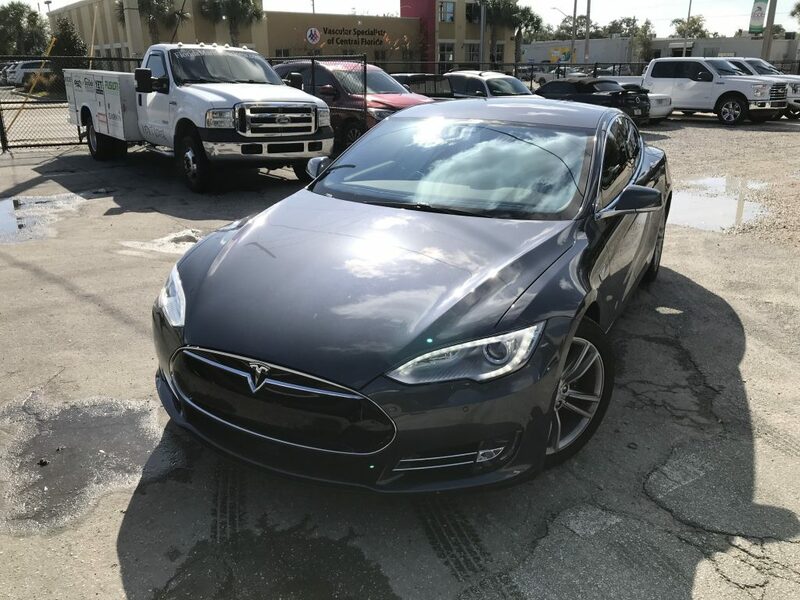 Paint protection film and Ceramic Pro are both very popular ways to protect the paint on your Tesla and keep it looking better than brand new. Paint Protection Film is a clear film applied to the paint. Virtually invisible, this paint protection film protects your paint from scratches and scuffs, while also keeping clean because of its hydrophobic effect.